Yesterday I sold my Kickbike CruiseMax. I got a good price for it, and today I can say for the first time in many years, that there is not one single kick scooter in my stable. There is a car and an electric commuter scooter, but no kick scooter. So what? You ask. I have always had a scooter, and always ridden them, slowly, very quickly, frequently, or infrequently. But lately all I was doing was taking the Kickbike down from its ceiling hook, wiping it clean, inflating the tires, doing a lap of the driveway and hanging it back up for three to five weeks. 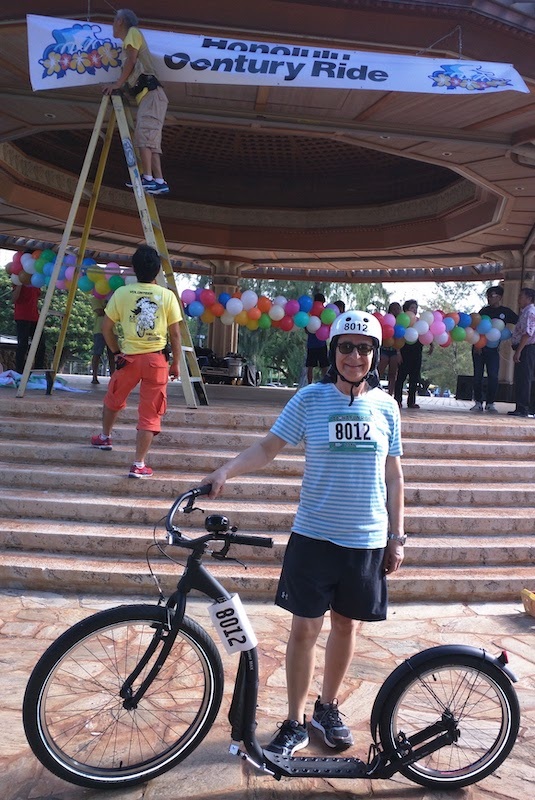 The last few rides I took were more tiring than they were fun, and spread apart over many months, and I came to realize that my human-powered scooter days are probably behind me. I am not unfit, I do Zumba, I ballroom dance etc., but the pleasure has gone from muscling myself down the road with no machinery and no energy assistance. Kick-scooting, something I have always enjoyed, gradually became a dreaded duty. It is only two and a half years since I did an organized nine-mile run, fueled by adrenaline. But since then the scooter became like the fifth bowl of food, Still loved, but much harder to eat. 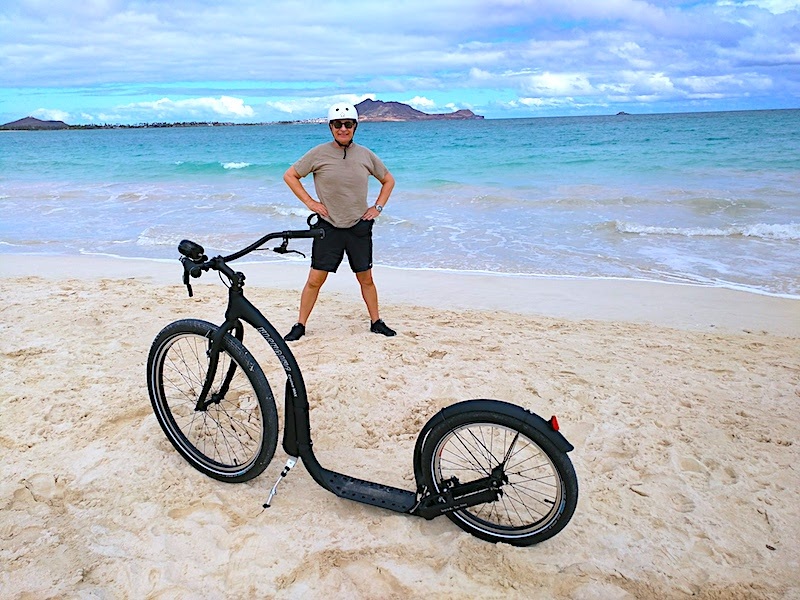 So as of yesterday, a very exited and eager, young Hawai’ian man now owns a state-of -the-art Kickbike CruiseMax, and I feel good about that. He will undoubtably not just leave it hanging on display as I did. Meanwhile my enthusiasm for electric scooters is strengthening. I am so happy I can still fly under the legal radar on one of these magical steeds. An upgrade gear-flip in that department is quite likely. I still dislike seats and pedals though, so no bicycles for me. Batteries and motors provide the means to stand and whiz along through the breeze. That is my riding world now.